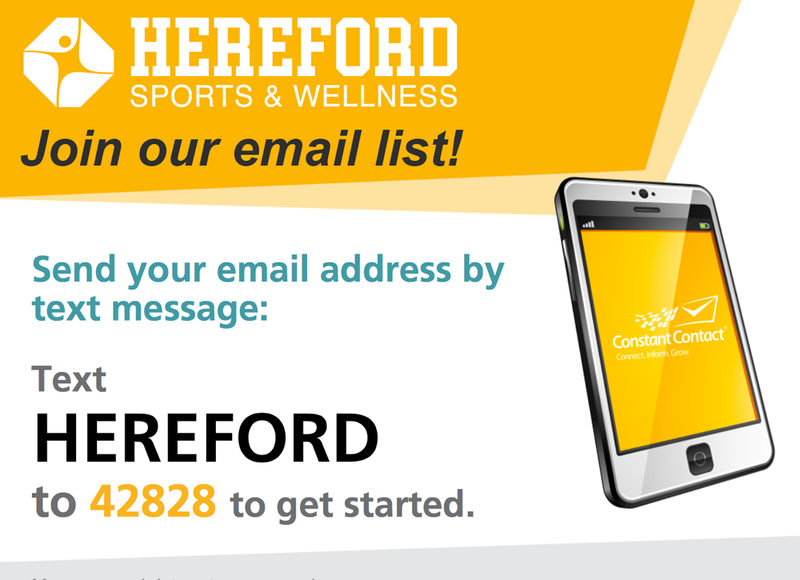 It is the mission of Hereford Sports & Wellness to provide wholesome sports programs, fitness opportunities, and other community-building activities for the citizens of Hereford and the surrounding region. We are committed to offering our services to our youth, adults, and senior citizens, as well as families from all cultures and all walks of life. We want to cater to working families, single parents, large companies, small businesses, and other local and regional organizations. It is our goal to involve members of our community in sports and wellness programs that promote community-engagement and quality of life improvement for the citizens of Hereford and our surrounding region. NOTICE TO ALL PARENTS/GUARDIANS: At any time prior to, or during the season, Hereford Sports & Wellness may request proof of eligibility (grade and/or age) for any participant. The Caviness Sportsplex was constructed in 2014 to provide the Hereford community with a state-of-the-art indoor sports venue.